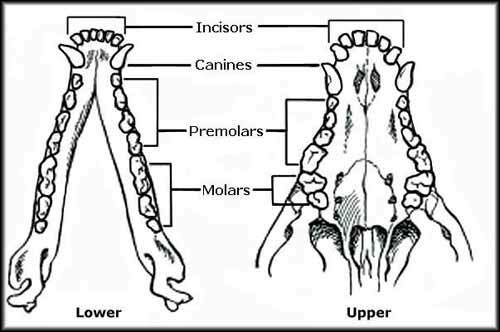 Puppies should lose a puppy tooth before the corresponding adult tooth emerges, but you will sometimes see both the puppy tooth and the adult tooth side by side. This is especially common with the canines. 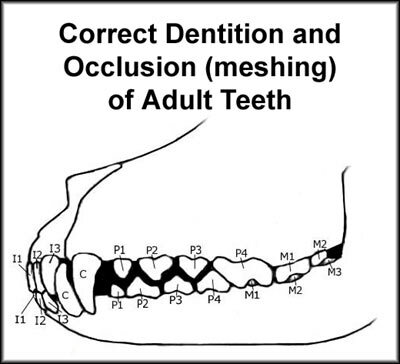 If a puppy tooth is still in place when an adult tooth begins to show, and it shows no signs of loosening, you need to consult with your veterinarian to decide if the puppy tooth needs to be pulled so the dog's bite will not be affected. 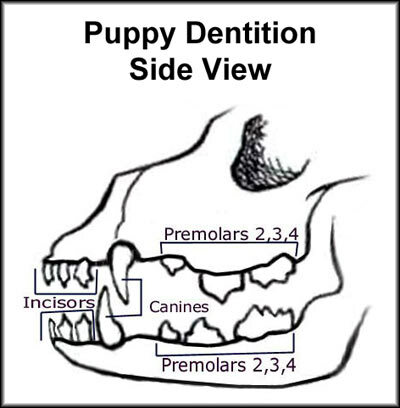 It is very important to keep a close eye on your puppy's teeth as they emerge. Any abnormalities need to be dealt with promptly.